Tutorial - How to Install Android 7.1 Nougat ROM on Samsung Galaxy Tab 2 7.0 P3100 P3110. Now you can enjoy Android 7.1 Nougat on your Galaxy Tab 2 but it's only available for P3100 P3110. So, you can not install on other model but developer working for other variants. 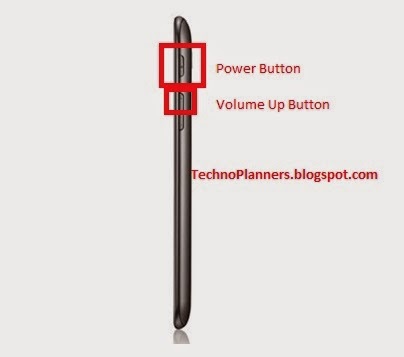 Then connect your Tab 2 with your PC using the USB cord and Once the connection established, transfer all files from the desktop and place it on your tablet’s SD card. 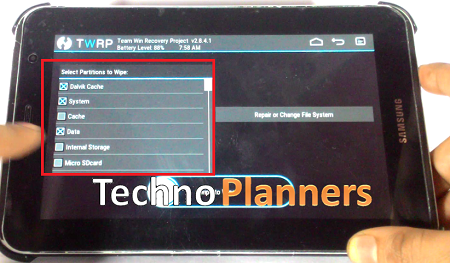 Now Reboot into TWRP Recovery mode using Volume Up + Power key. Just select "Wipe" and Check Dalvik Cache, System and Data. Once it Selected Swipe to Wipe. Then Go back and select “Install”, Now find ROM. Zip and GApps Zip files. Similarly, repeat the process and flash Google Apps package zip file. Now Go back and select Wipe then select factory reset, Now Reboot your Tab 2. Congratulation! You have successfully completed the process to install Android 7.1.2 on Galaxy Tab 2 7.0 P3100/P3110.